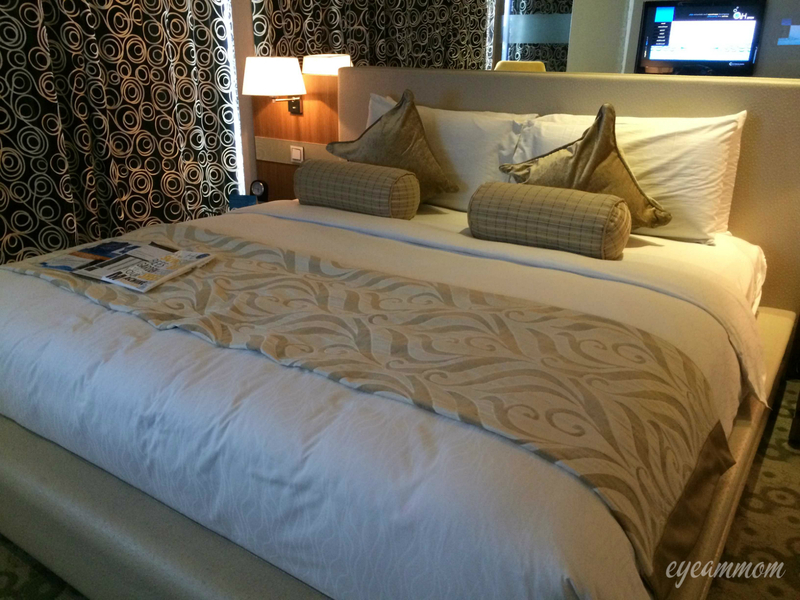 We booked a stay at Hotel H2O when we visited Manila Ocean Park. We availed of their Summer Fun Promo, which included an overnight stay at a Deluxe/Premiere room, set breakfast for 4, hotbed treatment and Deep Sea Rush tickets to Manila Ocean Park for 4. We wanted an Aqua room to complete the experience, but we were not able to get one even if we booked early. I used their online booking site, but did not get a confirmation letter. This caused some delay during check-in. It was a good thing I took a screenshot of the confirmation page when I booked the room, as this facilitated things in the absence of their confirmation letter. Another drawback was having to check in at the 3rd floor. On the plus side, they gave us the Premiere room with a jacuzzi. The room was very spacious. There was a separate area with a sofa bed and TV where they set up an extra mattress for our son. One side of the room was wall-to-wall glass, providing an excellent view of the bay. Service was prompt, when we asked for bath gel (there was none when we checked in) and extra blankets. 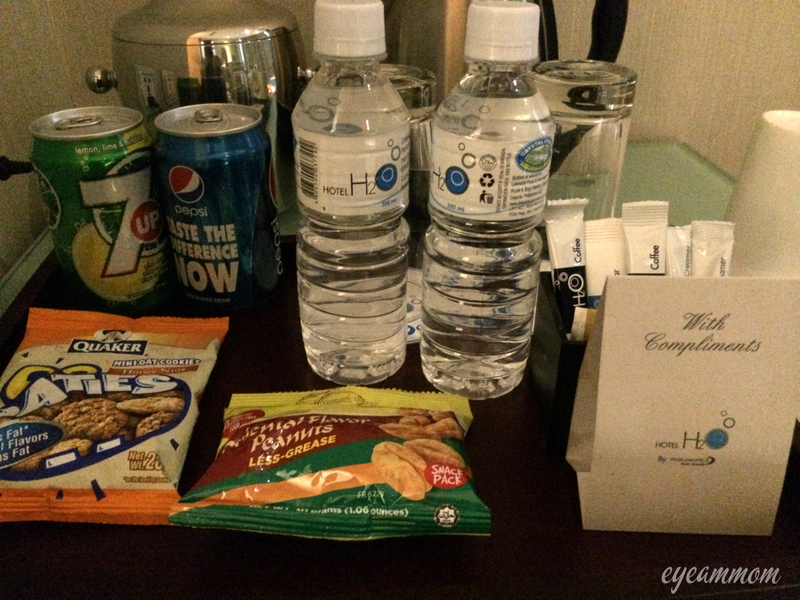 Minibar was complimentary – that includes soda, cookies, nuts and water. Air-conditioning was cold, which was a welcome escape from the heat outside. The toilet and bath fixtures were nice. The jacuzzi was easily the highlight of our room! 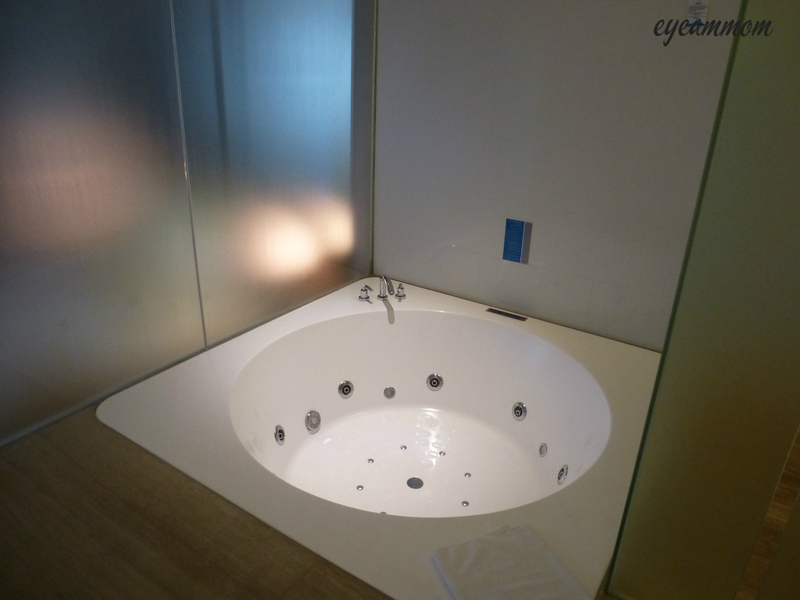 It was so cool to relax in a jacuzzi inside your room. We spent the whole morning just sitting in the jacuzzi while listening to music. On the down side, the toiletries were of poor quality. I would think that their premiere rooms would have better toiletries because these rooms don’t come cheap. We were also disappointed with the breakfast in Makan Makan and the drinks in the Club Lounge. This entry was posted in Family, Grateful Project, Life in the Metro, Vacation and tagged Hotel H2O, hotels in Manila, Makan Makan. Bookmark the permalink.